Whilst on a family holiday a few years ago in the Lake District, I discovered a lovely little interiors shop that stocked all kinds of cute and quirky homewares – products and brands that I’d never seen before. One in particular stuck in my mind called Koziol. My husband loved the look of the fun plastic accessories and so I got him a piece for Christmas. Fast forward several years, and I’m attending the Autumn Fair at the NEC to look at trends and products for retailers. Lo and behold, Koziol is there, so I stop and take a look. Their stand looks amazing, full of bright colours and striking displays and after a brief chat to collect a press pack, I tweeted an image and went on my way. Several weeks later, I was thrilled to receive an approach from Koziol, asking if I’d like to try out some of their wonderful products and feature them here on the blog. I was only to happy to do so! So, firstly I’d been eyeing up their jewellery stands for a little while, and decided to try one out. I need a little more storage near the bed for hanging rings and bracelets and this looked ideal. I must admit it was larger than I imagined it would be. 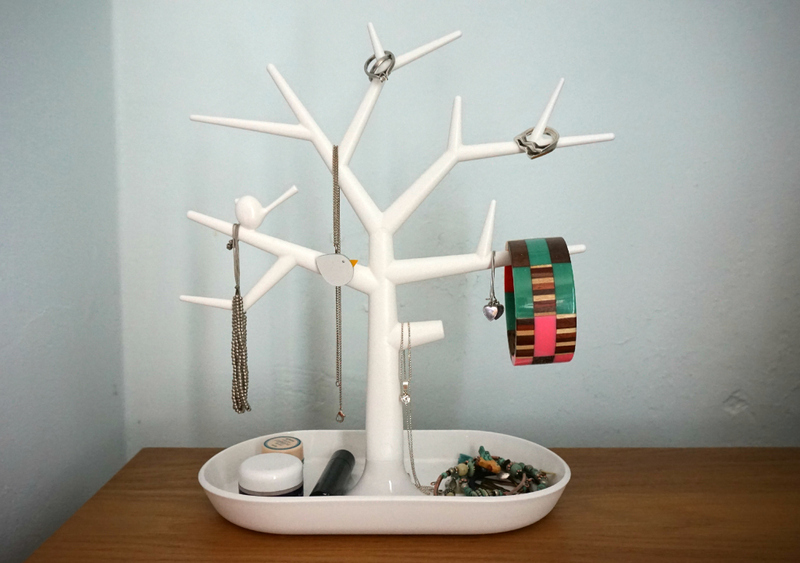 The Pip Contemporary Trinket Tree is great for storing all this and more, particularly in the tray section. It retails for £17.50. 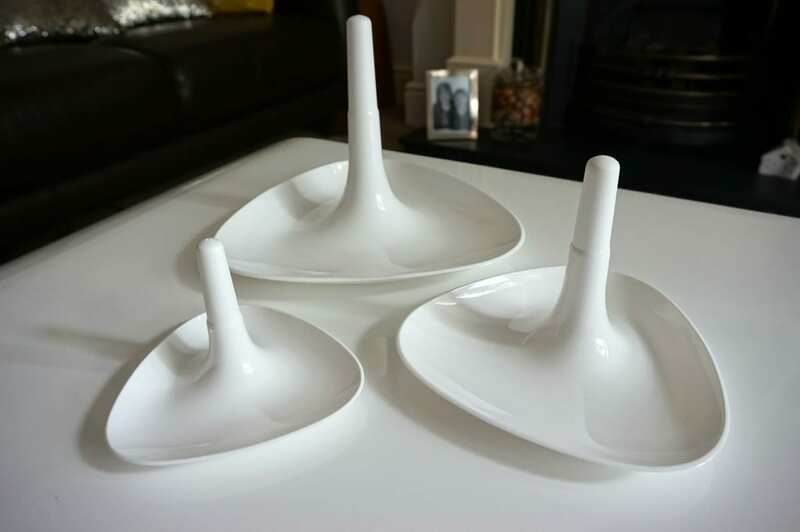 I have wanted a funky cake stand for a while but was reluctant to purchase one as we don’t really have the space to store it in the cupboards. However, Koziol has a very cool stand that can be disassembled for much easier storage. Genius! 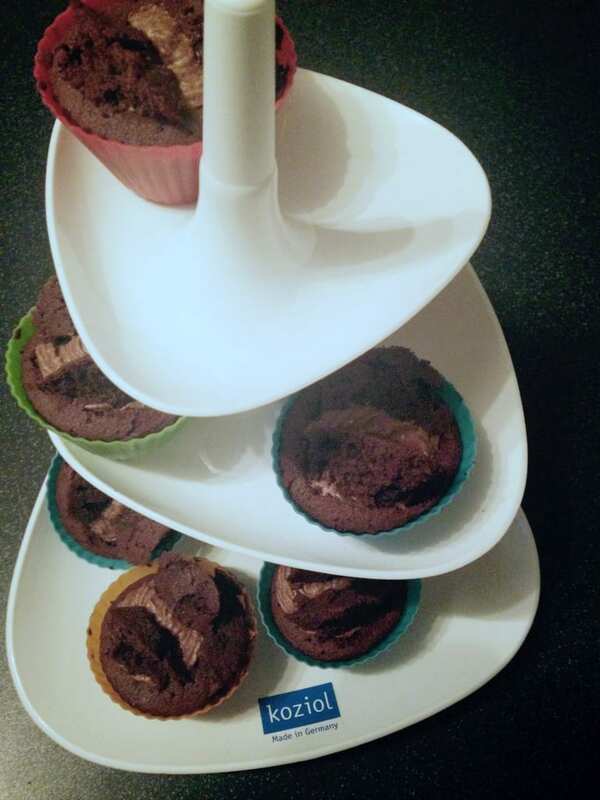 The Betty Contemporary 3 tiered cake stand comes in 3 different colours, including bright pink, and costs £19. Clocks are very important in our home. The children are very keen on being aware of the time, not that this helps them get out of the door punctually, but even so, it’s a key feature in our routine. 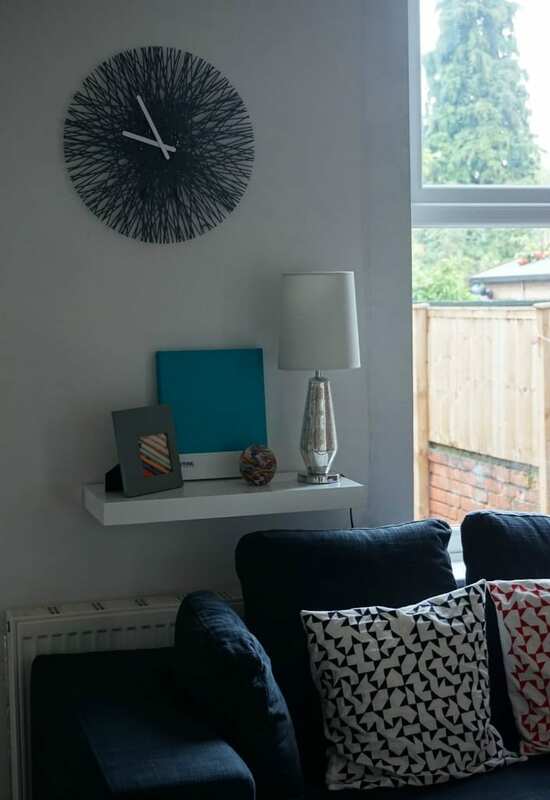 We have needed a new clock in the dining room/den for a while and this one is very stylish, and bang on trend. Whilst it doesn’t have numbers (complaints from the girls) it’s much easier to read that our previous clock. 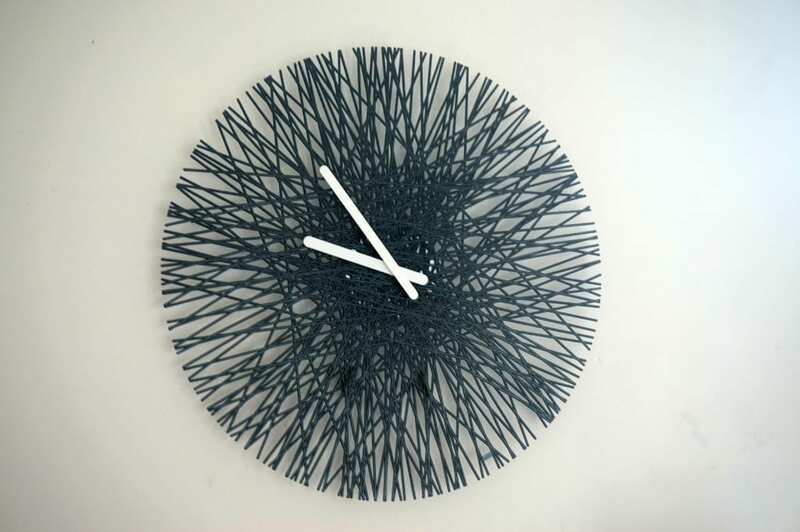 The Koziol Silk Contemporary Wall Clock (£38) comes with 2 pairs of hands, one black, one white, to suit your decor and mood. 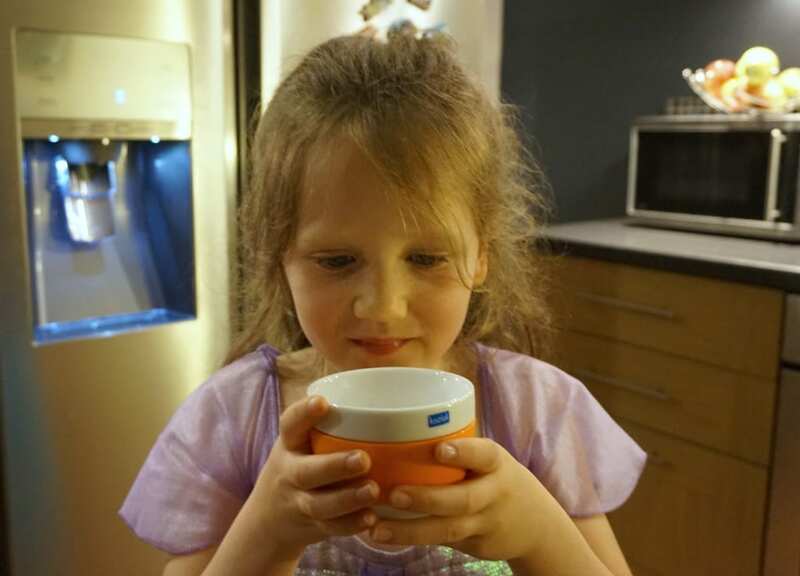 Finally, the girls wanted a new little milk mug and these very cute cappuccino cups at just £10 each, are perfect for the task. These porcelain cups, with polypropylene colourful bands sit in the hand beautifully, and are ideal for that early morning cuppa. 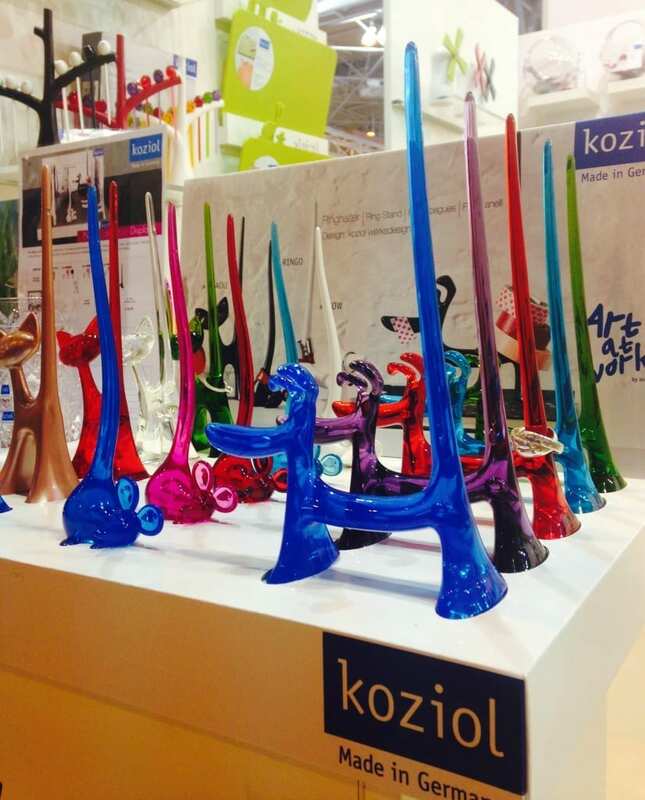 There is so much more on offer from Koziol too, from cute storage bags to kitchen accessories and watering cans. All designed with a quirky, contemporary feel. Koziol has been creating fun award-winning designs for the home since 1927 from their factory in Erbach Germany and we can access their products on their UK online shop. They are 100% environmentally aware too, and only use thermoplastics that are 100% recyclable with non toxic pigments and any waste created during manufacturing is always recycled. So, if you need to treat yourself or a loved one, or are starting to think about Christmas purchases, do check them out. Thanks to Koziol for gifting these products for the purposes of the review. All comments and opinions are genuine and honest.